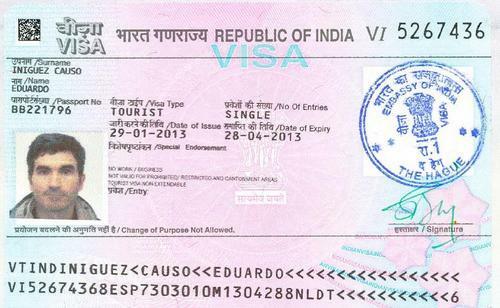 I always assumed I could enter India without a visa. For months and months, the information given on the website of the Ministry of Foreign Affairs stated that from October 2014 on, German nationals would no longer need a visa. Today I discovered that this had vanished and replaced by the usual visa procedure. Shoot. I wasn’t prepared for that. So I tried to find out first if I could use the Indian consulate in San Francisco to get my visa – or if I would have to send everything back to Germany. The info is conflicting. One the main website it says there is no problem, the website of the agency hired though states that tourists should normally use their home embassies. Should. Normally. Not have to. The more you search, the more info you find, and the more documents are need. I fell into a bit of a panic. As my itinerary for my second Round-the-world ticket is fixed, I have to fly through India. So this needs to be resolved if I want to visit India and travel on to South Africa. Second, this might impede on my visit to mainland China. I can fly into Hong Kong and get a stamp for a visit of up to 90 days. But If I want to see my friend Will in his home close to Hong Kong, or go to Shanghai, I will have to request a visa. But with the passport potentially gone for a while, this might get difficult to outright impossible. I am flying on to Mexico next Saturday. Luckily I do have a second passport, for exactly these circumstances. Unfortunately, I washed it at 90 degrees and tumble dried it twice. It pretty much falls apart and has most of the prior stamps washed out…. I hope I’ll get in and out of Mexico with this document. I’ll spend a couple of hours this weekend to et the visa application together and Fedex it to the consulate agency on monday. The next appointment they had left was end of september. I can only hope this will work out. Keep your fingers crossed. This entry was posted in Hong Kong, India, Itinerary, Mexico City, San Francisco and tagged China, Hong Kong, India, itinerary, Mexico, passport, San Francisco, travel, visa. Bookmark the permalink.